The Ancient Greeks lived over 2,800 years ago in mainland Greece and the Greek islands, but they also moved far further afield. Greeks could be found in Turkey, around the shores of the Mediterranean sea, in Italy, Sicily, North Africa and as far west as France. Ancient Greece had a warm, dry climate, just like Greece today. Ancient Greeks lived in City States, which were run like separate countries with their own traditions and currencies. People worked in farming, fishing, or as traders, soldiers and scholars (scientists, artists and teachers). For many Greeks, life was hard, as they were often poor and resources like water, farmland and timber for building could be scarce. For this reason lots of Greeks sailed away to find new lands to settle. The Olympic Games were founded by the Greeks around 776 BCE, at first as just one race. Myths and legends: we still read the stories of the Greek Gods and they are part of our culture. Language: some of the words we use today in English come from words created by the Greeks. Theatre: the Greeks made the very first theatres and also came up with the ideas of comedy and tragedy. 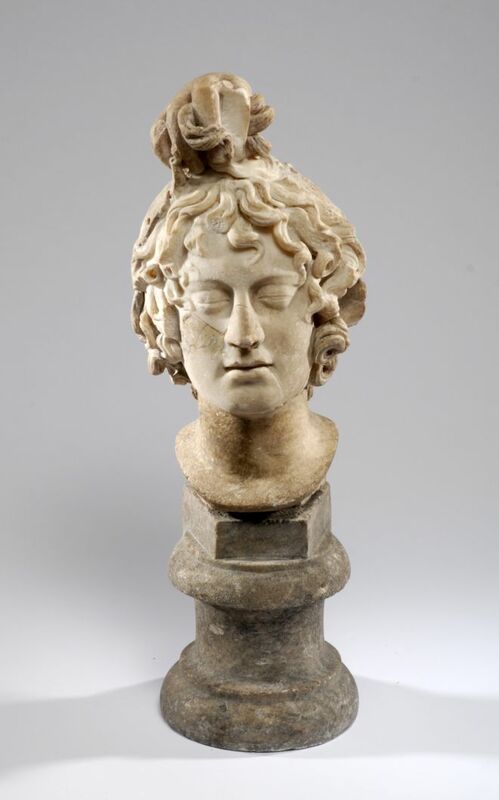 Many artefacts, (things belonging to the Ancient Greeks which they used in their daily lives), are in museums today. Sometimes museums use objects which look like ancient artefacts but are in fact modern. These are called replicas. Museums use them to prevent real artefacts from becoming damaged or broken and also to show what an item looked like if the original is no longer available. Handling coins, for example, can lead to them becoming discoloured or to the metal being corroded (worn away). 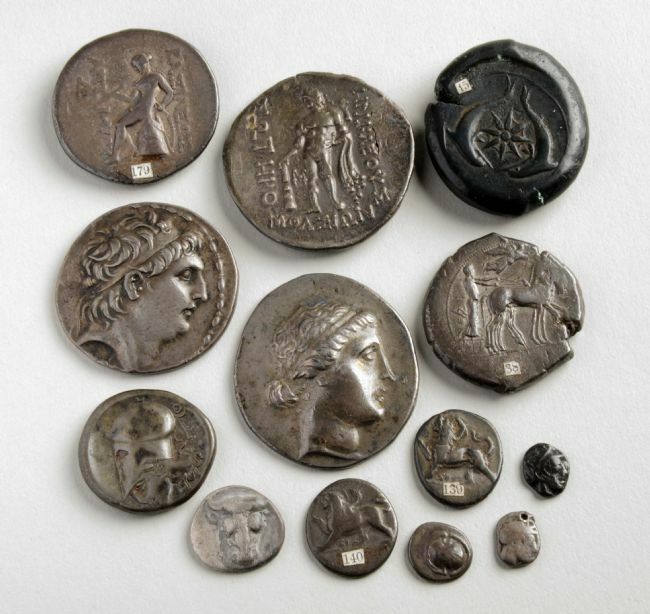 Do you think the coins pictured above are real or replica? How do you think life in Ancient Greece might have been different from today? What do you think might have been the best and worst things about living in Ancient Greece?